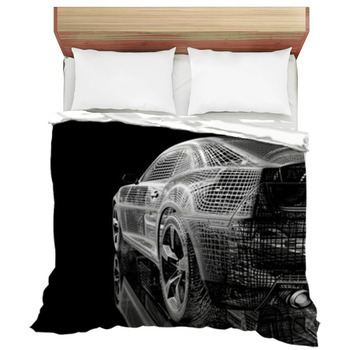 Realistic race car photo bedding is nothing like any other race car bedding available. 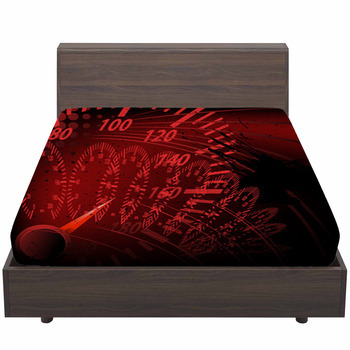 No comics or cartoons, doodles or sketches can even come close to the speed of real. 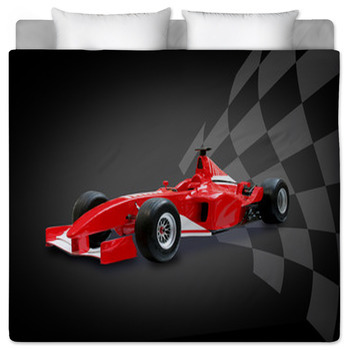 Formula one cars racing at an average speed of 125 miles per hour, no cartoon can handle that. 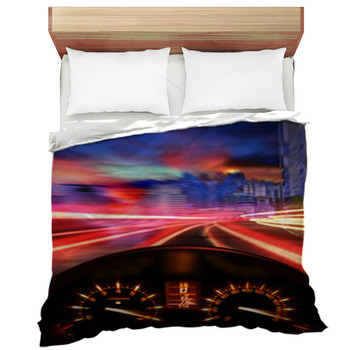 The wind whipping past, scenery blurred out of sight, life on fast forward, that is what racing is all about and its captured on VisionBeddings photographic race car themed bedding. 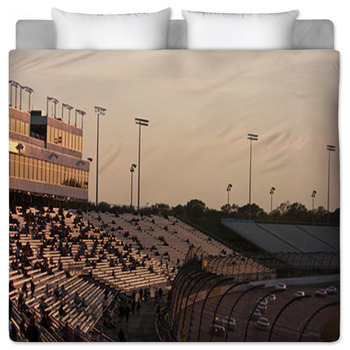 Sleek cars, fast lines, blurring scenery passing at 200 mph, that is the feeling you will get with race car bedding. 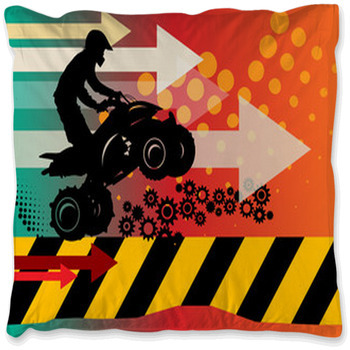 Zooming here and vrooming there, kids and teens are sometimes terrible to put to bed. 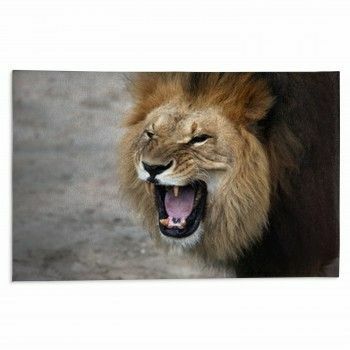 They swear they want to stay up just one moment longer, yet their eyes tell us they are exhausted. 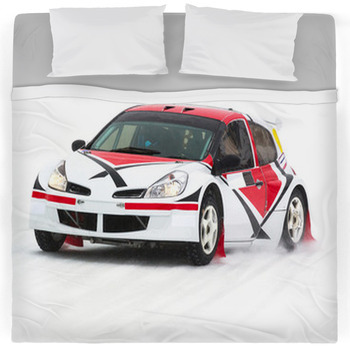 If you want to ensure they will race to bed every night, our realistic race car bedding can help. While a race car is everything to some little ones, others just like the idea of fast race cars. 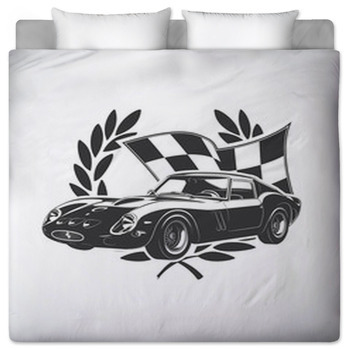 With VisionBedding's race car photo bedding, every day racing cars come to life on the bedding of your choice. 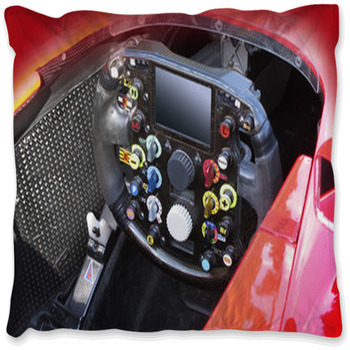 For that race car fan in your life, Vipers, Formula One cars, Nascar, maybe even a drag racing rail. 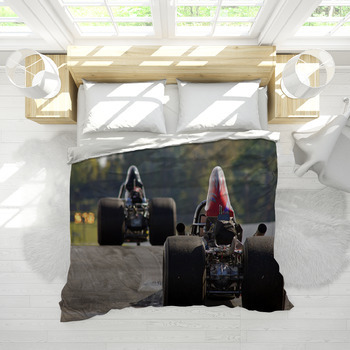 Any race car, any style, any dream from Indy to Datyona can come to life with our custom photo race car bedding. 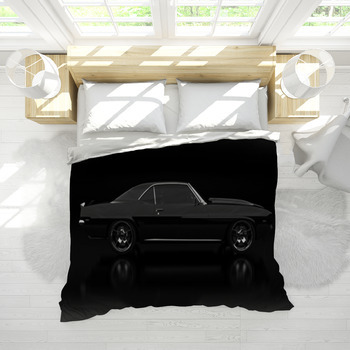 So don't fight your racing fans at bed time, give them something to dream about. 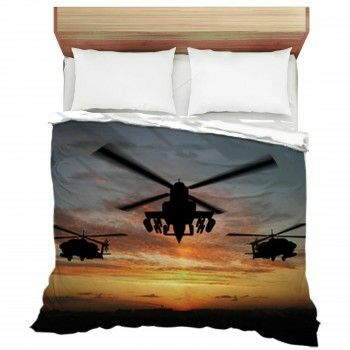 Give them realism beyond any other bedding choice. 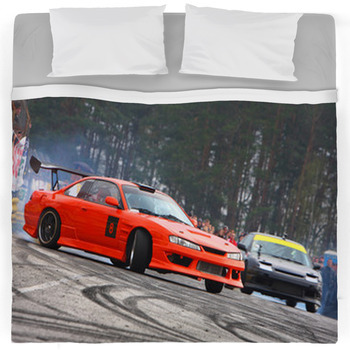 You cant fake speed, and you cant fake realistic race car bedding like ours.